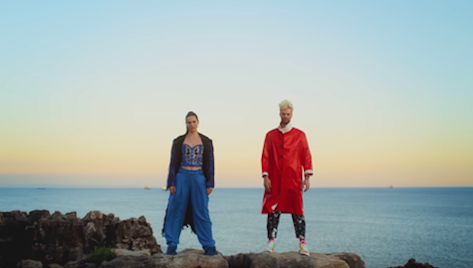 Dynamic dance music duo Sofi Tukker and yes, Pabllo Vittar released their new video today for "Energia (Parte 2)." 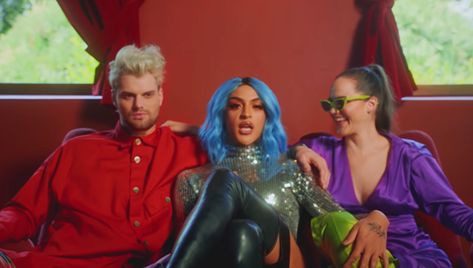 The upbeat track is suitably energetic, with a vibrant, insanely fun video to match, directed by Scheme Engine. Of course, while we are screaming over the collaboration in general because of how iconic it is, we are also here for the fashions. 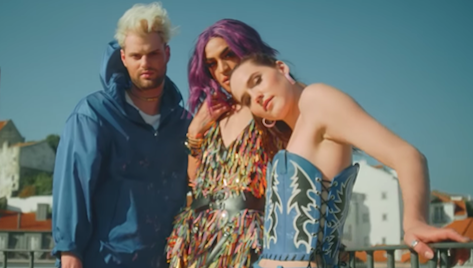 Tucker Halpern, one-half of Sofi Tukker tells PAPER: "This was my favorite styling we have ever done. Our stylist Olivia absolutely nailed it. She has gotten to know us so well as friends so she can really bring out our personality in what we wear." Sophie Hawley-Weld, the other half of the group adds, "I feel the same way. I just felt so me all day. Especially in the all blue outfit. I loved keeping everything blue but mixing the textures of the corset and the furry shoes together." 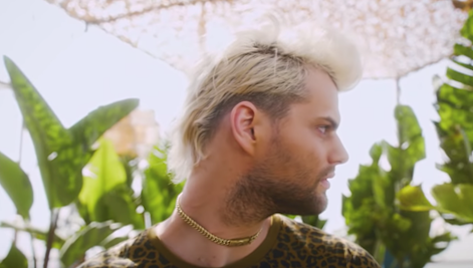 Check out the "Energia (Parte 2)" video, below, and a breakdown of all the video's looks.